This dish is a rich and wonderfully fragrant Malaysian-style one-pot noodle soup. 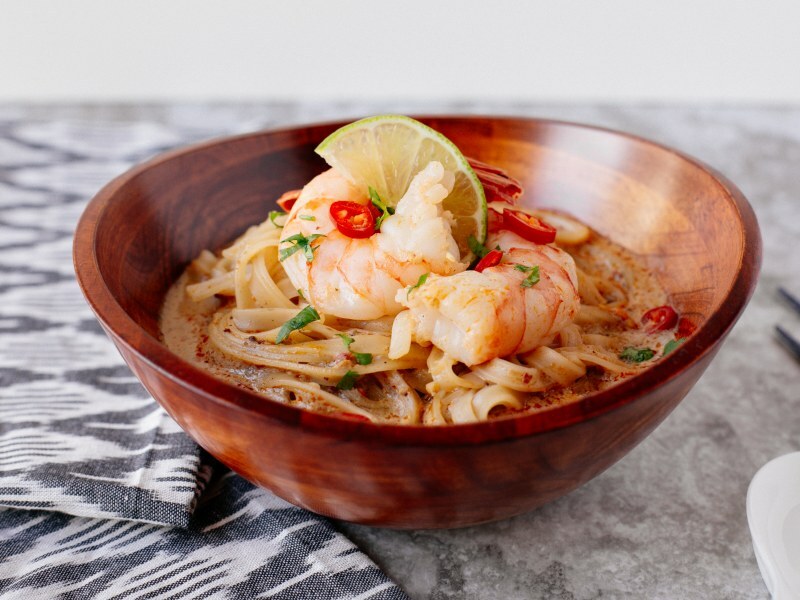 The incredible flavor in this dish comes from the laksa paste, which can be made from scratch (if you are feeling particularly adventurous!) or purchased in a jar. It is a refreshing and earthy blend of lemongrass, chiles, shallots, galangal, turmeric, and dried shrimp. Coconut milk and fish sauce give this decadent broth a creamy and savory. Each serving is garnished with a hearty handful of fresh cilantro and served with a lime wedge. Believe it or not, it is ready to enjoy in about 20 minutes! Want extra veggies in your laksa? Add what you love! Try halved sugar snap peas, baby corn, and asparagus tips. Chicken stock can be used in place of the vegetable stock for a richer flavor. Fresh basil can be used in place (or in addition to) of the cilantro. Per Serving: 549 calories; 28g fat; 48.7g carbohydrates; 29g protein; 212mg cholesterol; 2410mg sodium. This noodle soup has great flavors throughout! I added one extra Korean red chile pepper for a little more heat that it already had as the lime and coconut milk cut through some of that spiciness. I had some leftover snap peas that gave a nice crunch to this recipe. We find the best prawns where I like in Florida so I was super excited to make this dish! It was so simple and delicious! The fish sauce, coconut, and cilantro really took the layers of flavor to new levels. I enjoyed this dish very much and love how quick it was to make. 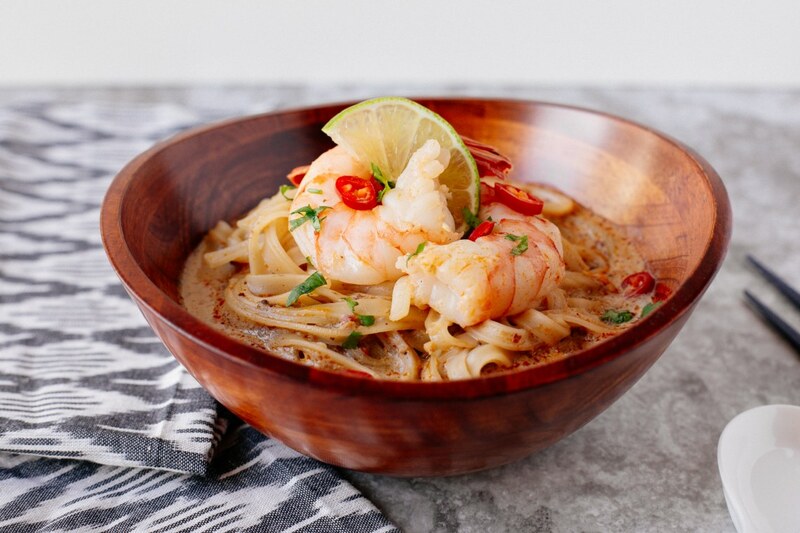 Baby corn and asparagus tips were the perfect addition to this delicious laksa. Love that it requires only a single pot, which means quick and easy cleanup. I made this vegan but omitting fish sauce and prawns. In turn I added a ton of veggies like peas, corn, and asparagus. It was really good. Love the chili pepper flavor with the coconut and lime. This was really good, but definitely felt like it needed more veggies. I added corn and asparagus, but next time I will probably go all out and add even more.